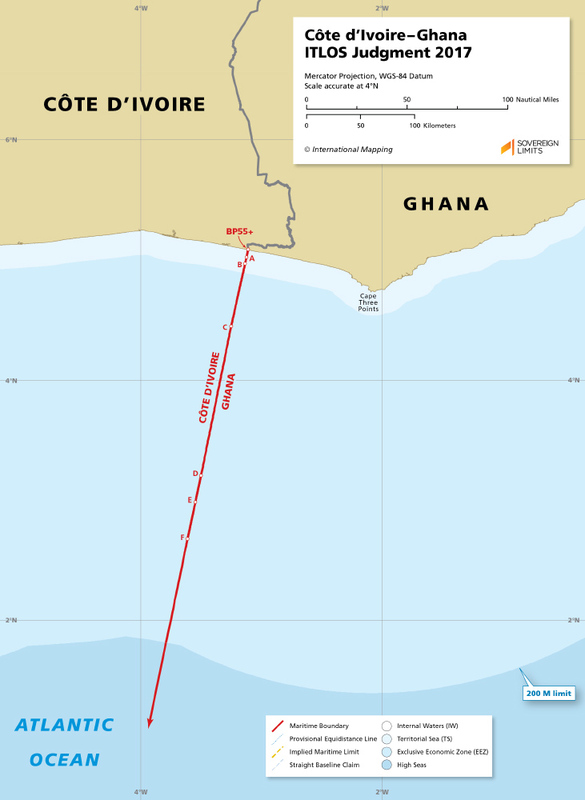 In 2014, Ghana sought arbitration to resolve their maritime boundary dispute with Côte d’Ivoire. Their case was brought before a Special Chamber of ITLOS, and after three years of legal proceedings, an Award utilizing a strict application of the equidistance methodology was handed down. The maritime boundary begins a point BP 55+, located at the extension of the land boundary and the coast, and then proceeds seaward passing through six defined points (A–F) each located within the Parties’ EEZ. From the 200 nautical mile limit the boundary was then defined as continuing on its directional bearing until the Party’s extended continental shelf claims were fully delimited.